MacDonald says 34% of autoTRADER.ca visitors are from either their iOS app or their mobile site, above the industry average of 20%. The iOS app was developed in-house by their Vancouver-based team led by VP of Technology Allen Wales, who says the download milestone is even more notable since the magazine was paper-based in the 1980s but now 100% digital and garners 10 million visits per month across all platforms. 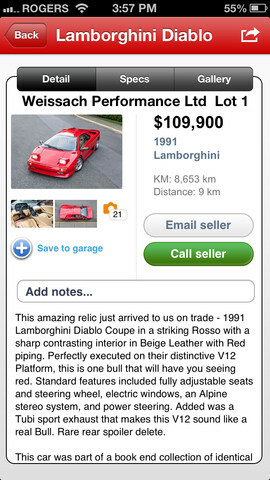 You can read our recent review of autoTRADER.ca here and also download the free app here in the App Store.